Willow Tree Fishery is set on a mature 6-acre estate in the peaceful rural village of Hook end Brentwood Essex, the lake its self is 35 years old and has 15 well-spaced natural swims, Willow Tree was originally stocked in 1983 with 40 carp but the strain and weights have never been recorded as it’s never been a fishery until now. But with that it’s also giving you the excitement of the unknown with old original English fish. 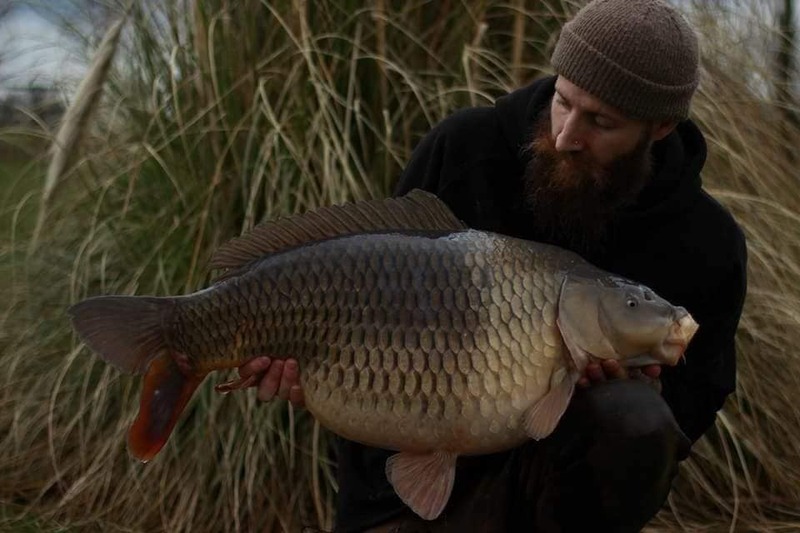 This year we have introduced 24 carp from 20lb up to x2 40s. 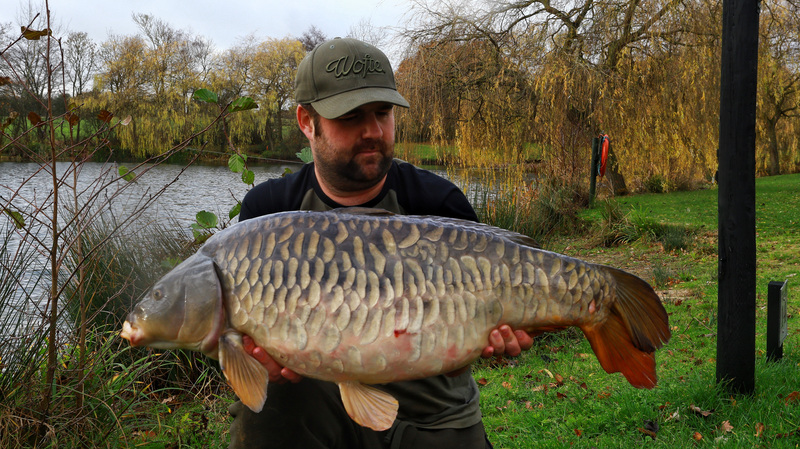 We have some of the most stunning handpicked scaly carp to add to the original stock and our plan going forward is to have the average fish weight being 20lb + with some nice additional surprises at 30+. With the correct stocking and feeding programme in place, we have no doubt this is going to be a very sought-after syndicate. To apply for the waiting list please drop us a email there will be a select few tickets available on a joint ticket with clear water syndicate for 2018. 8 under no circumstances is any angler allowed on the island period. Baits boats are allowed/ on site boat also present. Any anglers not sticking to the rules or leaving their swims as they found them will be asked to leave immediately. The average depth is 8ft and the shallowest point is 4/5 ft. around the island and the deepest parts being 12ft in areas. The Lake bottom is mainly silt with the odd patch of weed and hard spots making it easy enough to present a rig from any swim. Willow tree describes the fishery in a nut shell with plenty of overhanging willow trees, reed lined banks, a island and lily pads also present giving you plenty of features to fish to. Other fish also present are Tench, Perch, Roach. Facilities on site Secure car park ladies and gent’s W/C Willow tree members Shed by the lake with a microwave, tea earn small fridge. BBQ area for all members to use.